The opening of the boutique five star Milaidhoo Island Maldives this November is one of most anticipated luxury resort openings of the year. Milaidhoo, due to open its doors in November 2016, promises its guests a new chapter of barefoot island living on its tiny 300m by 180m island set in the heart of a UNESCO Biosphere Reserve in the Baa Atoll region of the Maldives. Shunning the current trend for high-gloss name-dropping look-at-me hotel glitz; at Milaidhoo barefoot informality is at the very heart of the island’s ethos where selfie-sticks and drones are not encouraged. Perfectly located to offer the absolute best of the Maldives to its discerning guests, Milaidhoo offers a return to a classic, relaxed Maldivian holiday style on a tiny island with deep soft white sand beaches and a vibrant coral reef where dolphins, whale sharks and manta rays are visitors – a benefit of being in a protected marine area. This private, luxury island is reached by a scenic 30-minute seaplane flight from the international airport. 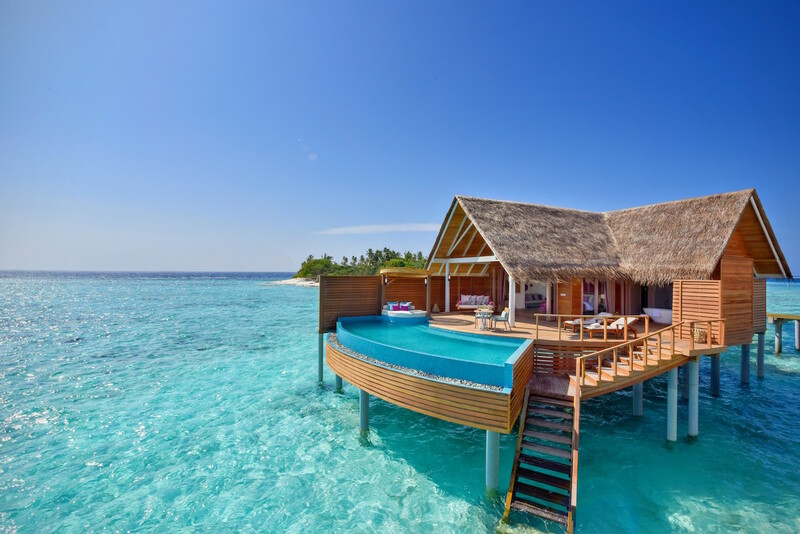 Standing on stilts over the lagoon are 30 spacious over-water villas (245 square metres) and hidden amongst the tropical greenery are 20 serene villas on the beach (290 square metres). 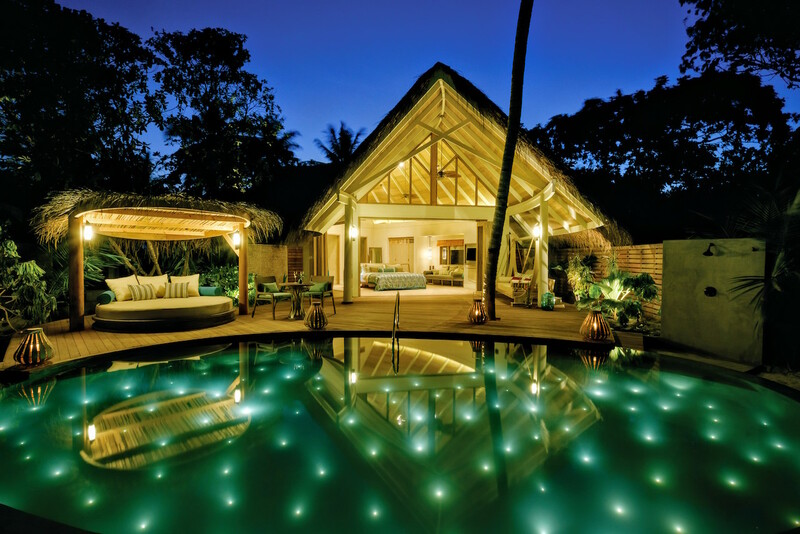 All villas have large private freshwater swimming pools and an island host to attend to the guests’ every whim. 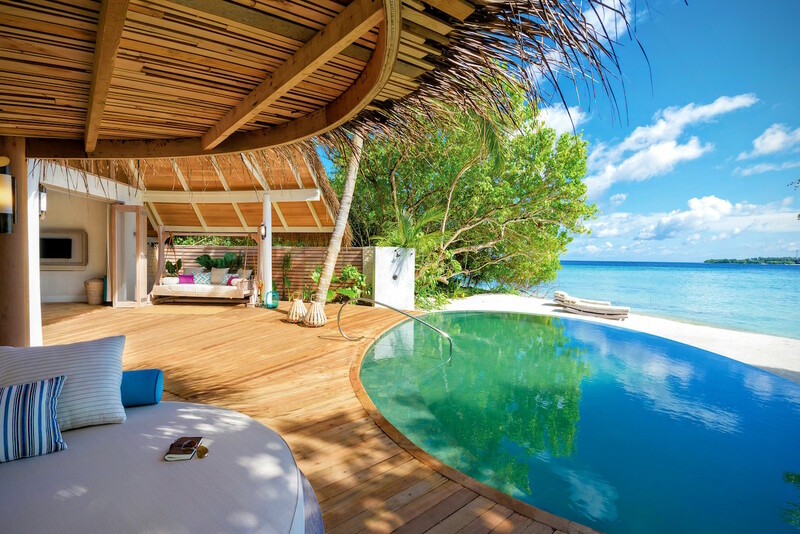 Designed by local architect Mohamed Shafeeq, the resort’s 50 villas have been made using materials and fittings custom-made for Milaidhoo in a way that epitomises the true contemporary Maldives style. Spacious outdoor living is the key phrase: the villas open up 180-degrees to allow the natural beauty of the Maldives to become part of the room. Milaidhoo is the only resort in the atoll that has been created specifically with couples in mind, although children aged nine and above are welcomed. It further differentiates itself from the herd with its ‘Milaidhoo Moments’; a collection of exclusive activities for the luxury traveler seeking meaningful and memorable experiences. Milaidhoo will offer its guests access to Hanifaru Bay, a marine protected area, which attracts the largest seasonal groupings of manta rays in the world. Milaidhoo is serious about its food. Gourmets will feel at home in the three restaurants and two bars; the resort’s signature restaurant is overwater and shaped like three traditional Maldivian sailing boats. It – uniquely in the Maldives – will offer a modern interpretation of ‘island influenced’ cuisine. Cocktails will be fresh, creative and on point while the wine list has been designed to pique the interest of wine lovers with a choice of much loved classics alongside a selection of wines from lesser-known boutique winemakers. All villas have their own wine fridge where guests can keep their personal favourites. The island’s spa consists of four treatment suites set on stilts over the lagoon where guests will also enjoy daily complimentary yoga and meditation classes on the custom-built pavilion. And of course perfect beaches, snorkelling on coral reefs, diving, water sports, fishing and cultural excursions to nearby islands and sandbanks will create stories that guests will want to tell forever.